Bless and be thankful for the loving people in your life. about you just because you are YOU! Play your favorite songs loud. Make phone calls to loved ones. Give up on the haters. Visit friends and family that are far away. See the beauty in all situations. all of your family’s crap. you’d have rocked it by now. 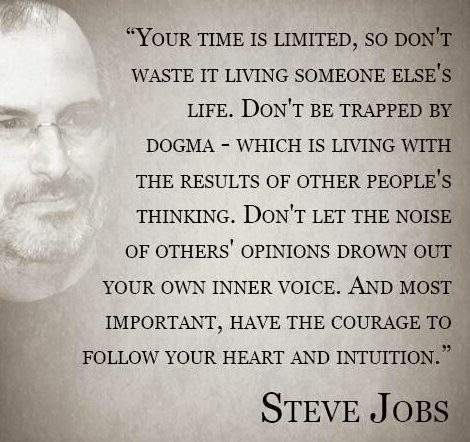 If this resonates with you like it does with me, it is good advice. 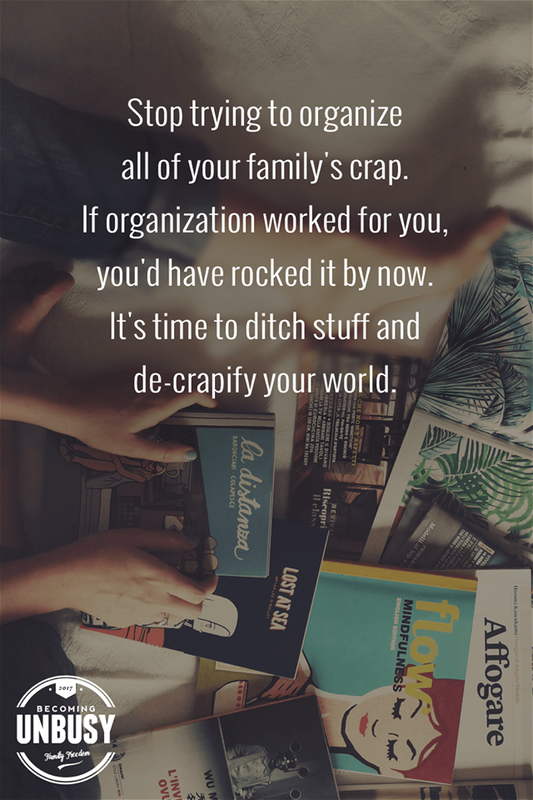 De-crapifying your life. That’s a good one. But how exactly do you let go of all of those precious things that clutter your home? Because we never know when things might happen and leave us cold, hungry or destitute. So the more we have stored up the longer we will survive. And not only for ourselves, but also for our entire family. How many times have you been scared into doing things? It is one of the very best advertising tactics and has been practiced for many years by successful, big business companies. It is one of the most effective ploys used in Church also. If you are a Church goer, how many times have you heard the threat of going to Hell by not following all the rules before you? The impossible, ongoing, rigid, ever changing, RULES. to conform to, let alone attain. Unless you make it to the top rung – where anything is okay and absolved immediately. If I sound a little cynical here, perhaps I am a little bit that way. are the best con artists I HAVE EVER KNOWN. And when they are done using you, moving on to their next target, what do you have left? All that left over crap. What you did wrong this time. How you could have been better. What more you could have done. How you could have been more loving. Why can’t they love you like they said they did. Why everything they said was contradicted in time. And then there are all those memories left over. The new set of dishes you bought to brighten up the table. The clothes you bought together when you were on vacation. Everywhere you look reminds you of something you shared together. But where is your life partner, your soul mate? Oh he’s gone. On to the next younger, better looking victim. He needs so much more attention than you are able to give him, you know. You just aren’t supportive any more. It’s no wonder people get depressed and despondent after a few tries at the “happiness ever after” life. Both male and female have their stories. It’s hard for both sides of the coin, not just one. Thus, the left over crap on both sides of the relationship. A house full of miss matched, mixed memories. And then there is the need for fulfillment yourself. How do you justify all that time lost. Things that are new, and shiny, and bright and fluffy. New clothes that don’t remind you of him. New towels that are your favorite color. No wonder the house gets a little crowded. But you are doing the best you can. 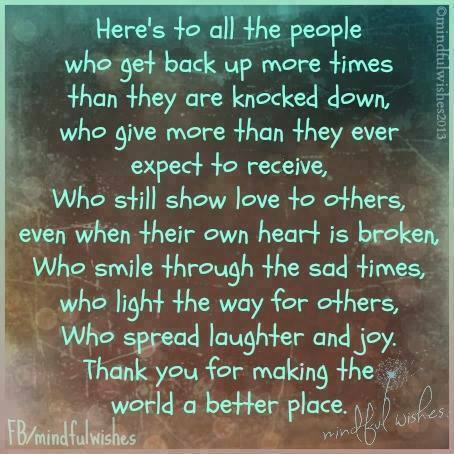 You are a survivor, and you are doing well. The thing is, when did we ever imagine our dream house filled to the brim with stuff? 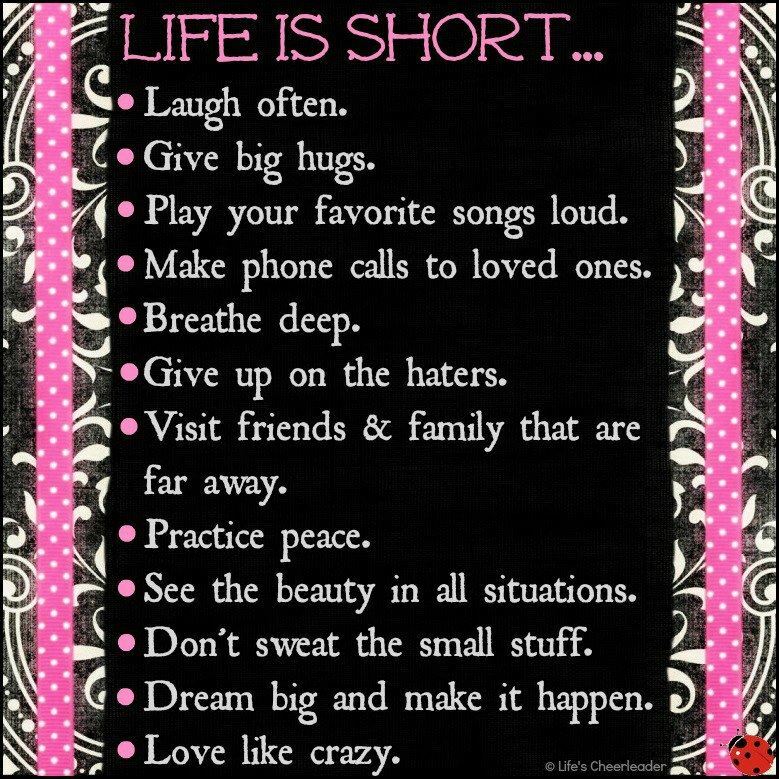 Maybe it’s time to de-crapify my own life and remember what I really want out of life. More love, instead of more things. More time to spend with my loved ones, instead of cleaning and dusting things. Maybe we could all de-crapify a little bit. waiting for something is pretty much a part of the past. or one of your Facebook, Instagram, or Twitter accounts. There are so many more to choose from. Why spend the time needed to deepen a relationship when you can just instantly get someone else? Yes, people can be replaced physically, but what about all the memories shared and the easy way you used to click together? All the plans you made and the unfinished projects you had in the works. People do grow apart and when that happens, you have the choice of growing with that person or going another way. The inspiration that a committed relationship brings is so much deeper and richer than a bran new one where you don’t know anything about the other person. the idea of moving on is perfect. A new sense of appreciation comes with a new person. You can share all of your thoughts and dreams and plans with someone who appears to care, rather than changing your old story and becoming a better person your self. you will end up chasing the elusive butterfly of love through out eternity. Never really feeling grounded and satisfied. Never experiencing the solid connection gained from hanging in there and weathering a few storms. Never knowing the happiness of sharing your whole heart, mind and soul with another being. Never waiting for anything really fulfilling because you are in too much of a hurry to let it develop. 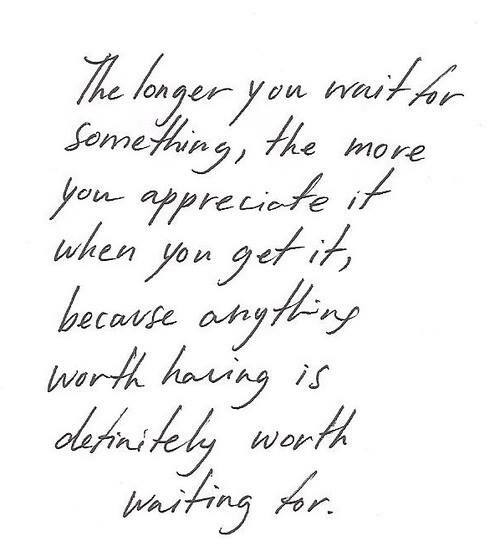 Finding the essence of life and appreciation is definitely worth waiting for. And it takes as much time as it takes. You can’t rush anyone else’s personal growth any more than you can rush your own. and every day we have new choices to make. Those choices lead us to either more fulfillment or less fulfillment depending on the choice made. Awareness, consciousness and meditation help us make the choice to grow to a higher level. Experiencing a higher vibration and a more vibrant energy flow. We can either expand and explore or shrink up into safety more each day. The choice is yours but anything that is really good is worth waiting for. Trust yourself and go for what you really want, no matter how long it takes. while patiently waiting for something more and even better. 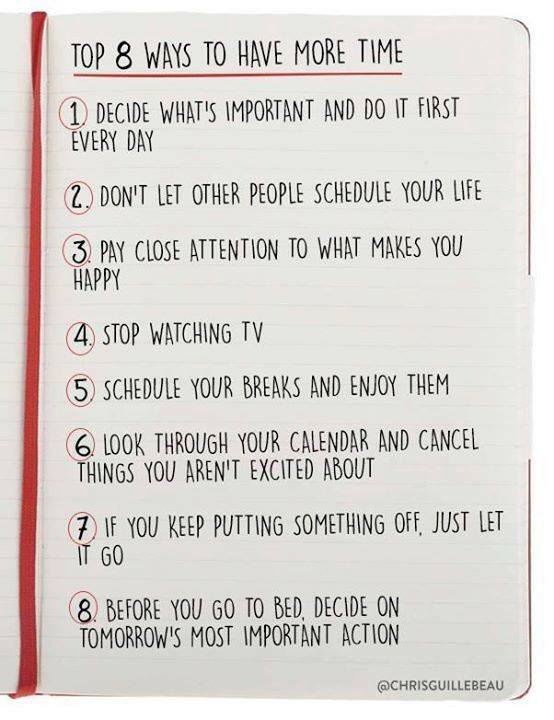 to prioritize the things that are important to you. Who doesn’t want to get more done every day? to do more of what you want to do until you feel satisfied every day. with yourself and what you have right now. Being totally happy with yourself. 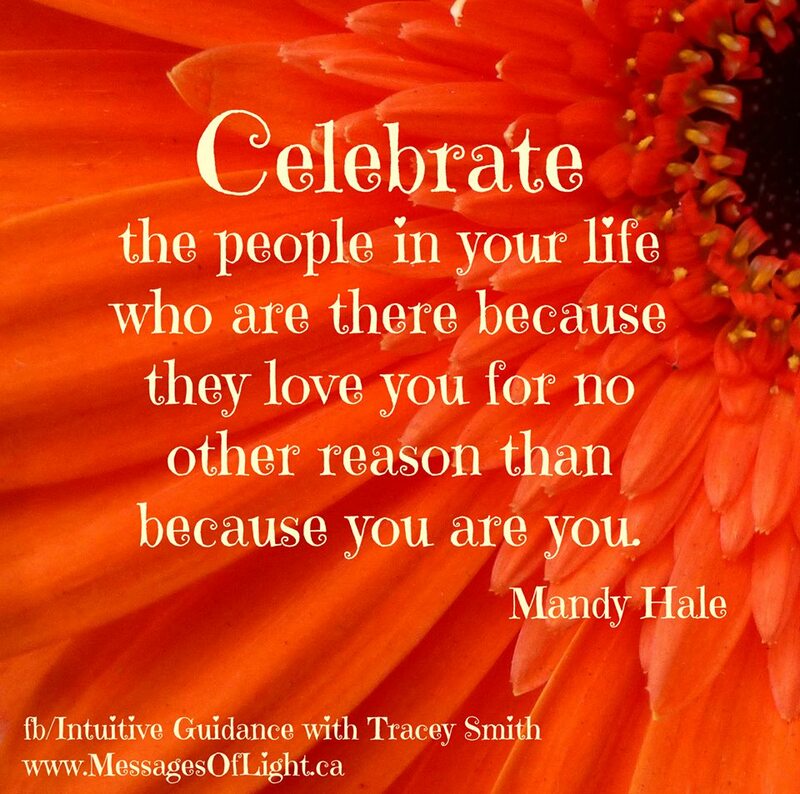 Loving yourself and those around you. Enjoying your life and feeling great. Filled with life force and good energy. getting a list of things done won’t be as necessary as you once thought. Because you have expanded into more. And your powerful inner being is the evidence of it. 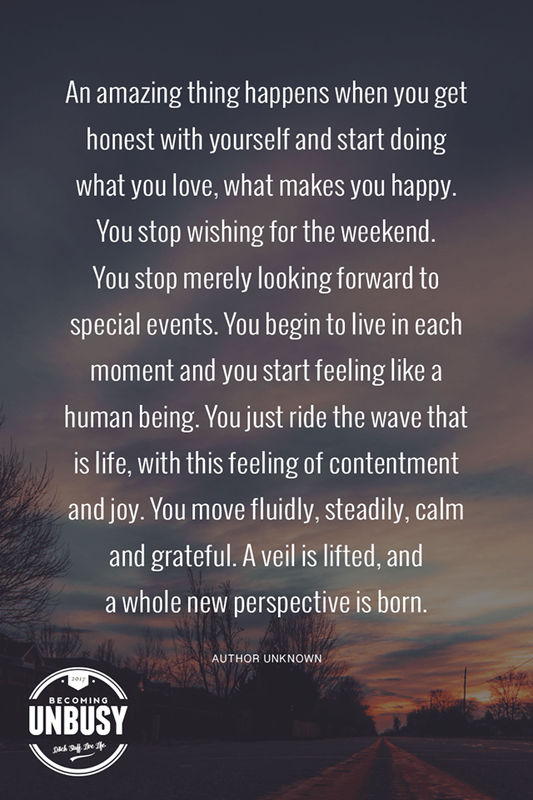 as you become in sync with your vortex. and accepting your life as it is. 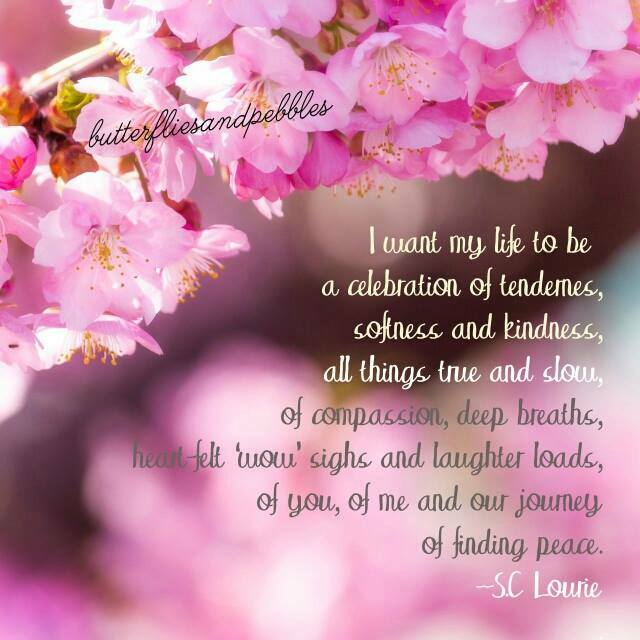 Full of love and joy and peace. and the idea of receiving even more of it. and being on your way to the receiving mode. through the time you have available here. as you expand more each day. rather than doing more and more each day. your priorities and thoughts of importance. in the way your heart desires it to. Finding reasons to feel good as you go. Molding life with your thoughts. and the benefits of feeling good. through the natural processes of the universe. what you love, what makes you happy. a whole new perspective is born. Change your consciousness Change your World…. You believed a perfect world is too good to be true. You believe life is unfair. So it remains that way. You’re convinced nothing can change. 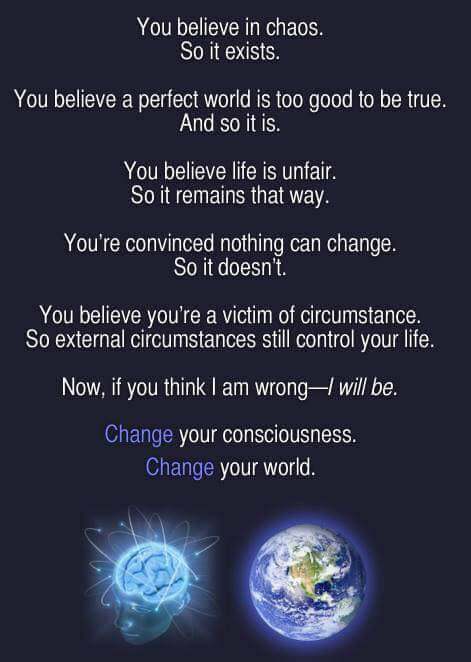 You believe you’re a victim of circumstance. So external circumstances still control your life. Now, if you think I am wrong – I will be.